Trojan Crates implemented Crystal Ball's FleetTracker in 2013. Savings in the first year have amounted to nearly £5k. 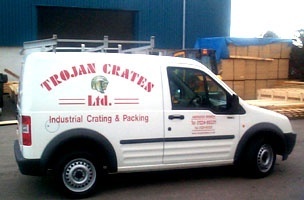 Based in Aberdeen, Trojan Crates Ltd is a family-owned business established in 1979. The business provides timber crating and custom packing solutions to the North Sea and International Oil and Gas, Subsea and Freight Forwarding Industries. In 2013, Trojan Crates was visited by its mobile service and website design suppliers, DF Communications, certified partner for Crystal Ball solutions. During the meeting, Kevin Morrison, Operations Director at Trojan Crates, raised concerns regarding increasing vehicles costs, particularly relating to fuel usage. After hearing these concerns, DF Communications suggested it would be beneficial to introduce Crystal Ball’s vehicle tracking solution, FleetTracker. 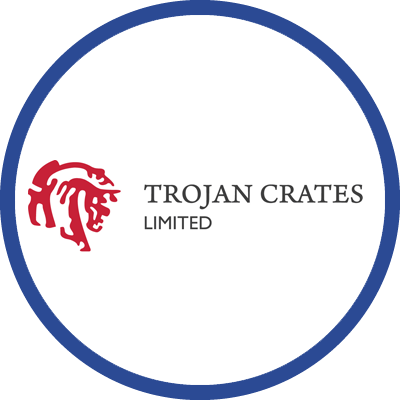 Craig Forsyth, Sales Director at DF Communications, believed this would tackle Trojan Crates’ concerns and fit perfectly with its requirements and the nature of the business. Following an on-site web demonstration of Crystal Ball’s FleetTracker product, Trojan Crates decided to trial the solution on a short-term basis. Subsequently, convinced that Crystal Ball would help address its concerns, Trojan Crates implemented FleetTracker across its whole fleet of vehicles in May 2013. With FleetTracker in situ, the company can now effectively monitor its vehicle costs and track the locations of its fleet in real time 24/7. The additional bolt-on of Driver Behaviour has further enabled management to monitor driving standards with detailed reporting of speeding violations, harsh acceleration, harsh braking and harsh cornering instances. Since the implementation of Crystal Ball’s FleetTracker, Trojan Crates has seen significant reductions in its annual vehicle costs. Employing FleetTracker has also smoothed out internal procedures by providing the company with an efficient and reliable customer service tool.